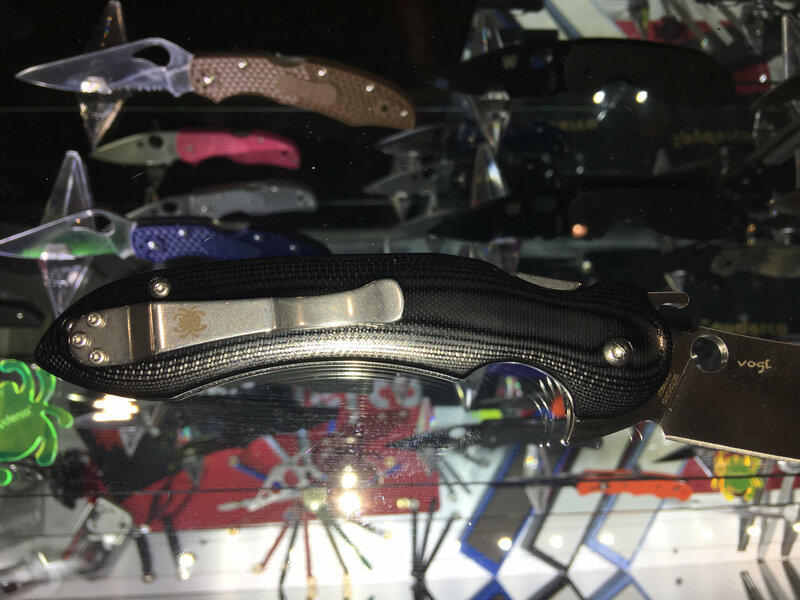 Spyderco Tropen Compression-Lock Flipper Combat/Tactical Folder (Folding Knife) with CPM S30V Blade and Emerson Wave for Ultra-Fast Blade Deployment! (Video!) | DefenseReview.com (DR): An online tactical technology and military defense technology magazine with particular focus on the latest and greatest tactical firearms news (tactical gun news), tactical gear news and tactical shooting news. 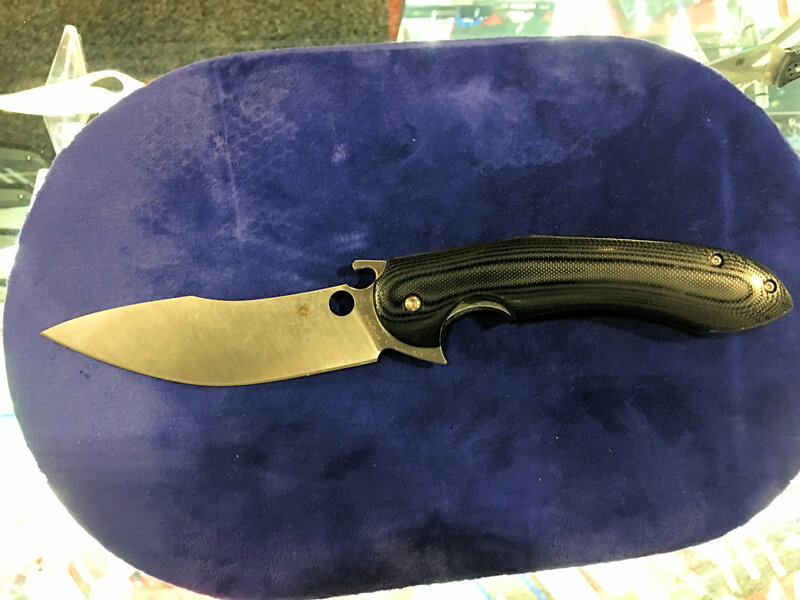 Spyderco Knives has just introduced a very cool semi-custom combat/tactical folder (folding knife) designed by Argentinean custom knifemaker Javier Vogt called the Spyderco Tropen (C237G), and it’s definitely worthy of discussion here on DefenseReview (DR). 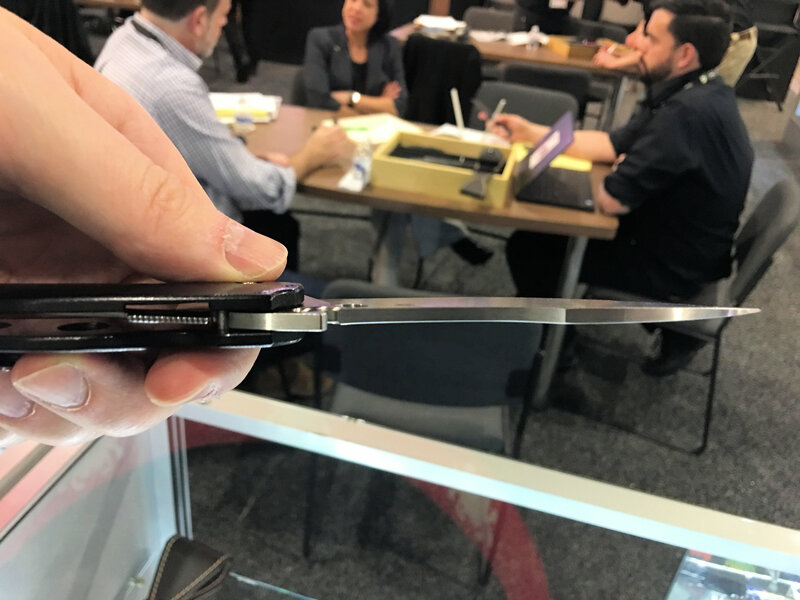 DR got a chance to view and handle the Tropen recently at SHOT Show 2019, and we were impressed with just about everything about it, including it’s fit and finish. 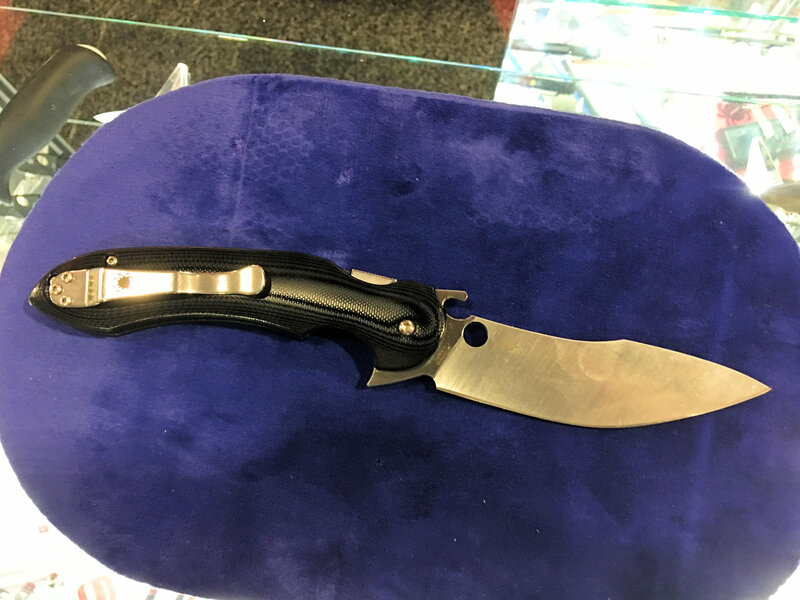 First, it sports a pretty large (4.02″), intimidating curved CPM S30V stainless-steel blade with satin finish and very nice dark G-10 scales on the handle, so it looks custom. 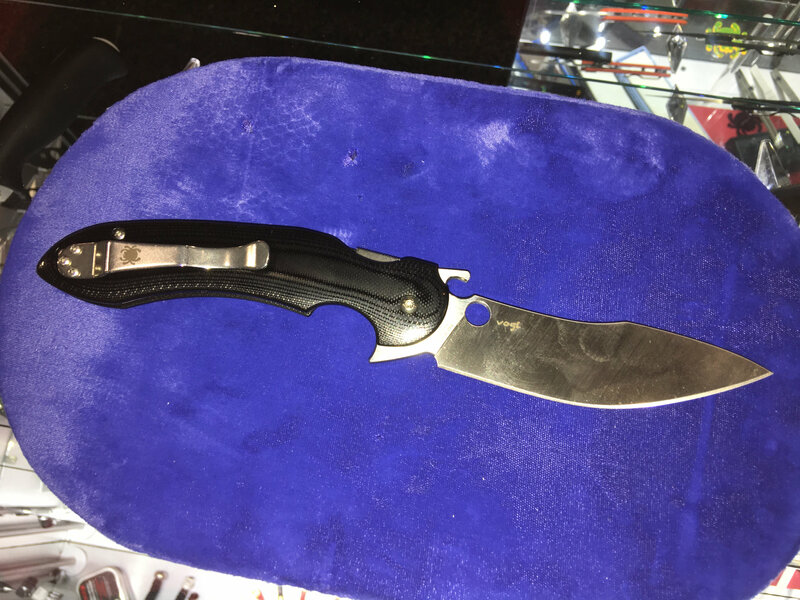 The blade itself is V-ground, or full-flat-ground, which is another nice touch, and the handle features a pocket clip for convenient pocket carry (right side, tip up). 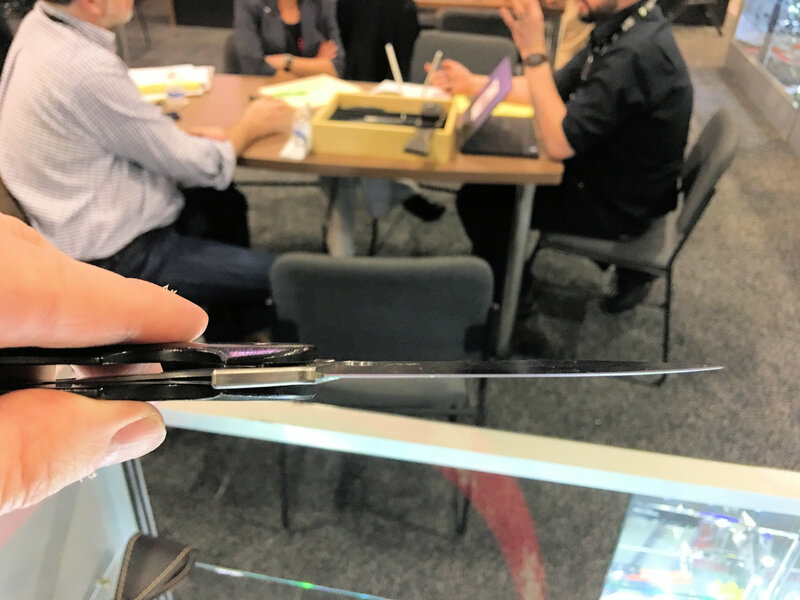 Obviously, since it’s a Spyderco knife, the Tropen’s blade features the usual Spyderco hole for fast opening…but it doesn’t stop there. 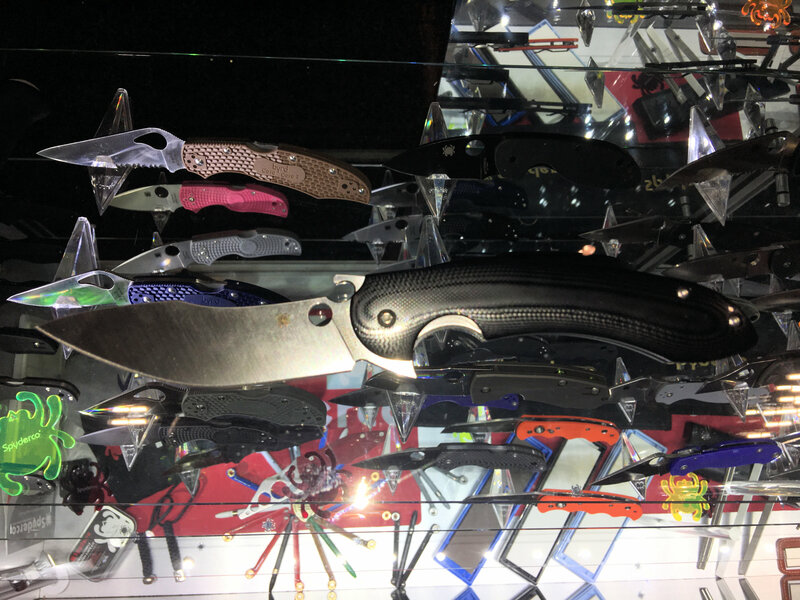 It also features the Emerson Wave Opening Feature (designed by Ernest Emerson of Emerson Knives) for even faster blade deployment right out of the pocket, as well as a flipping mechanism for backup. So, the Tropen is essentially a tri-mechanism knife with regard to fast blade deployment. You can see all of this in action in DR’s video from SHOT Show, below. 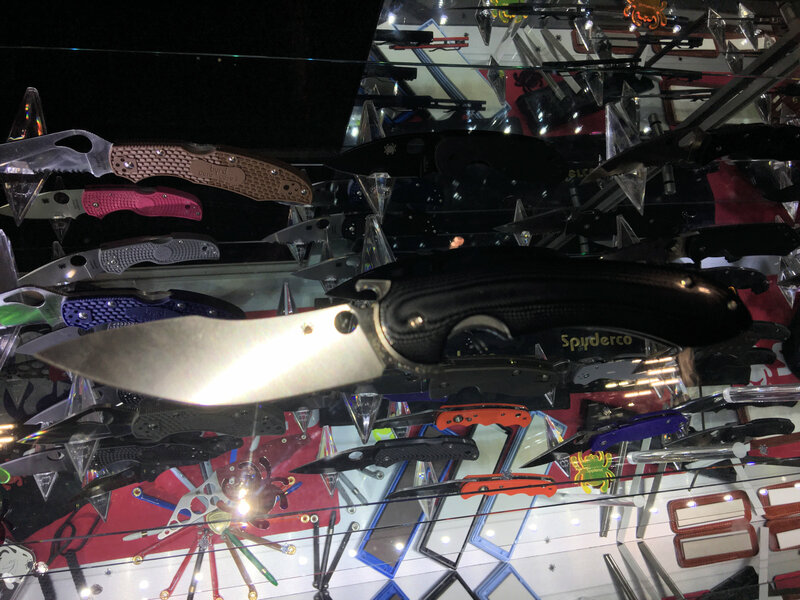 Another interesting aspect of the Spyderco Tropen tactical folder is it’s compression-locking mechanism, which is supposed to be very solid, robust and reliable. So, it would appear that Spyderco pulled out all the stops in developing this knife, and its price reflects it. MSRP is currently $290.00 USD, as of this writing. 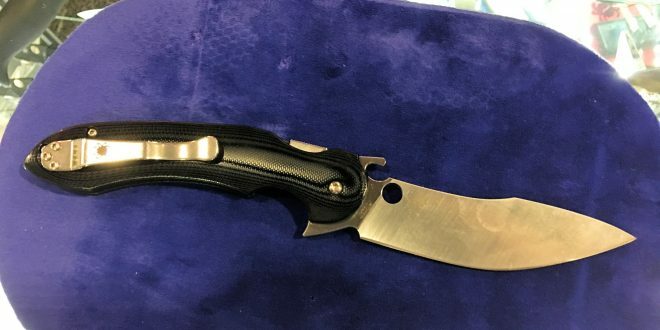 Not inexpensive for a production knife, but you get what you pay for in this world, quality costs, and this is frankly one of the nicest and most interesting Spyderco knives DR’s ever seen and handled. It’s pretty sweet. However, all that said, the proof is in the carrying and using. So, Defense Review is going to try to get our hands on a review sample as soon as possible, so we can see what the Tropen is like to carry and use on a daily basis, and do a follow-up review piece on it. We’re hoping the production version of the Tropen is as nice as the one we saw at SHOT. We also hope a partially serrated variant of the Tropen will be offered at some point. DR will try to find out, and update this article accordingly. In the meantime, enjoy the video we shot below. Previous: Condor Pursuit Pack: Lo-Pro/Lo-Vis Armored Shield Backpack with Patented Features that Takes a Level Three Hard Armor Plate!